If you make or use branded clothing, or use ID cards to secure your site, the only truly secure way to get rid of unwanted items is through product destruction. When uniforms and clothing reach the end of their useful life, it may be tempting to dispose of them through normal refuse collection, or perhaps pass them on to charity. However, you should bear in mind that branded clothing has value to fraudsters. If old uniforms are recovered, they could be used to imitate members of your workforce. Criminals could also use the uniforms to pass themselves off as your staff and obtain payment in your name, doing real damage to your reputation in the process. The risks are even more serious with ID cards, which could be used in order to gain access to your premises, or potentially someone else’s. The safest course of action is to make sure that all unwanted items are securely destroyed. That includes workwear and uniforms that are old, damaged, out of date or superseded, as well as ID cards of all types. If you manufacture products, you should also safeguard yourself against faulty or out of date items falling into the wrong hands. If they find their way on to the market through unauthorised channels, they could tarnish your reputation for quality. The safest course is to destroy them. Our shredding services aren’t just for paper. 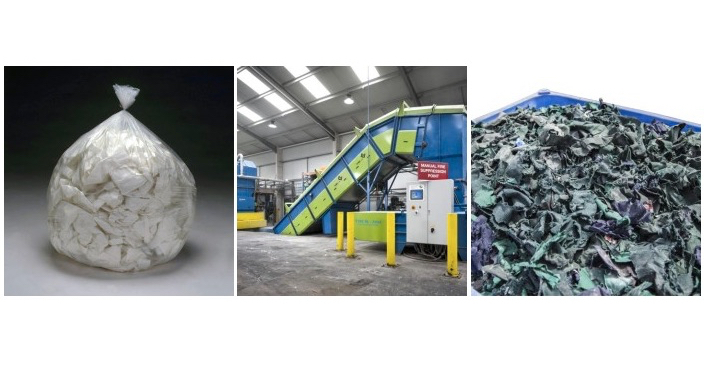 Almost any item can be securely shredded, right up to computer machinery, so textiles and plastics present no problem at all. We can shred your unwanted items either on-site, with our mobile shredding service, or at our own premises. We can help you maintain a full audit trail of everything that we shred, and will also issue a certificate of destruction when the process is complete. Our premises are completely secure, all our vehicles are tracked and we have CCTV installed on our premises and in vehicles. All our staff are DBS checked and recruited according to BS7858. Everything we shred is recycled where possible. To learn more about our clothing, uniform and product disposal service, just contact us.